Laura is a native of Northeast Ohio where she received a B.A. in Psychology from the University of Toledo in 1995. Although she enjoyed studying Psychology, her passion for working with animals led her to continue her education and receive an A.A.S. in Veterinary Technology in 2000. She found that she had a special interest in alternative forms of pain management. Laura began expanding her understanding and abilities to help manage patient comfort by becoming certified in canine massage. She then went on to study canine rehabilitation at the University of Tennessee where she earned her certification as a veterinary technician therapist. In 2013 Laura was offered the opportunity to join the rehabilitation department at NC State’s College of Veterinary Medicine. During this time, she worked with numerous challenging neurologic and orthopedic rehab patients. She also helped instruct 4th year Veterinary students that chose a rotation through the rehab department. 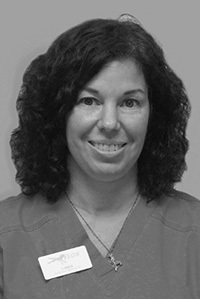 Laura remained active within the University of Tennessee’s rehab certification program while at NC State as an adjunct teacher in the lab portions of their program. Laura loves all aspects of canine rehabilitation and has a wealth of experience to draw from whether working with a performance dog with an injury to keeping a geriatric patient comfortable and mobile. Her comfort level with intricate neurological cases has brought a welcome set of skills to our area to support referrals for neurological rehabilitation therapy. Laura joined Skylos Sports Medicine in 2017. 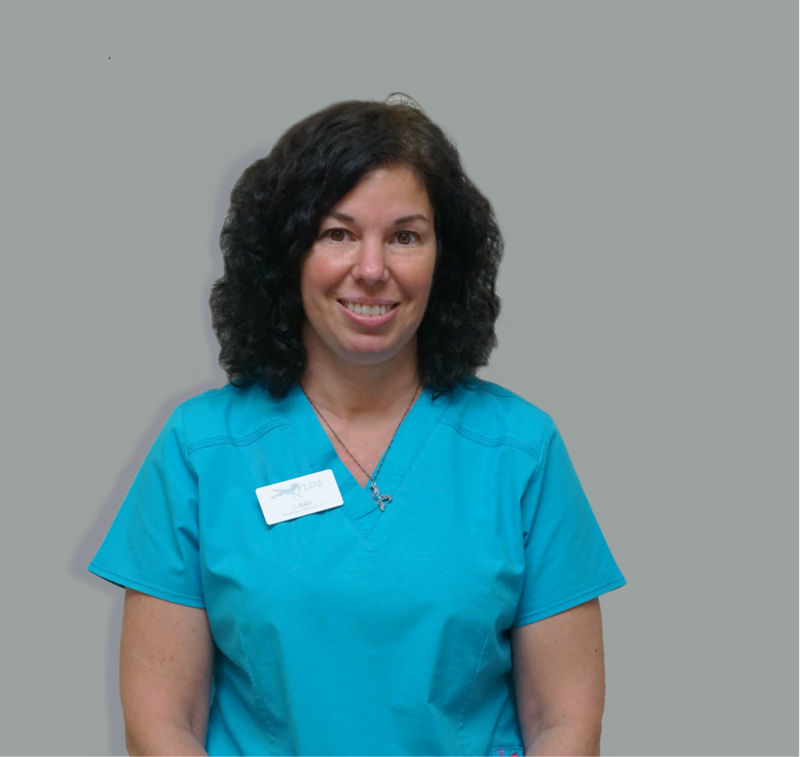 Laura’s natural ability and enjoyment for teaching others shows in her ability to work closely with her patient guardian which is imperative to a successful outcome and our patients love her too. Laura lives in Columbia with her husband, Anthony and 2 Otterhounds, Appletini and Maynard. In her free time, she enjoys traveling, live music, hiking, showing her hounds in conformation and anything by the ocean. Laura plans to pursue a VTS in canine rehabilitation.